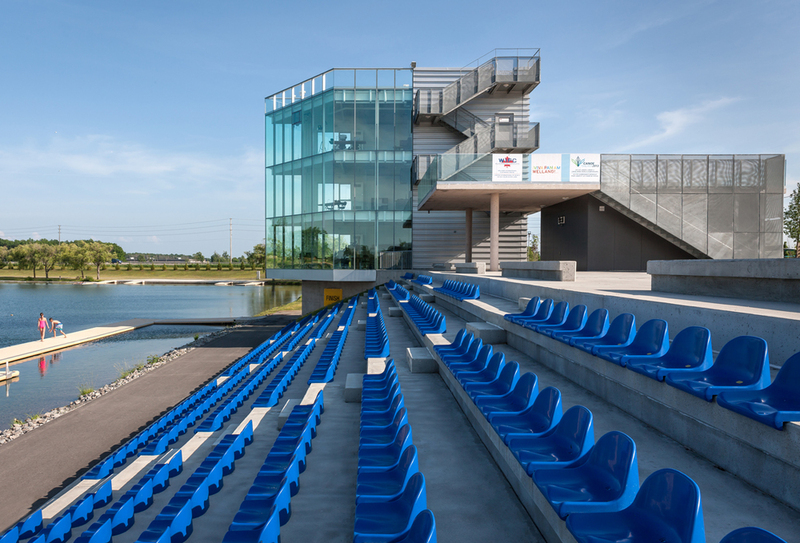 Sited on a 19th century canal that connected Lake Ontario to Lake Erie prior to its bypass in 1973, this complex takes advantage of a controlled environment with perfect training conditions for a range of water sports. 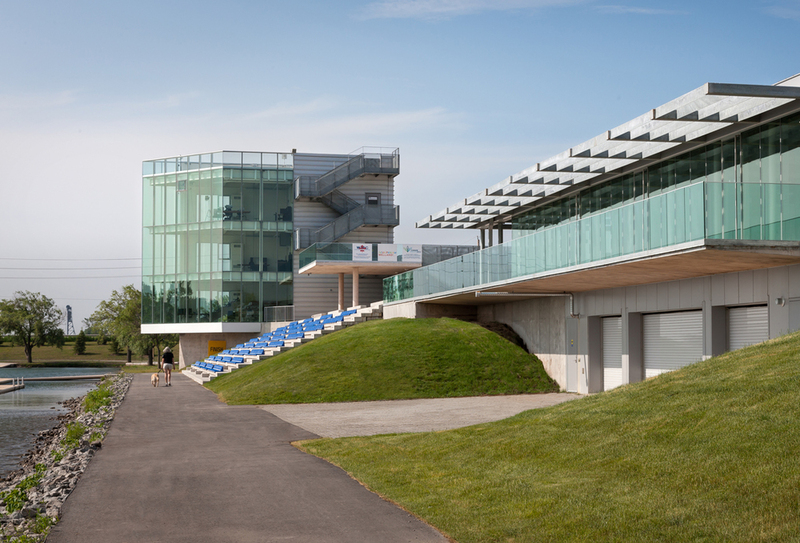 Built to international competition standards, the master plan and design for the Flatwater Center incorporates a venue for the 2015 Pan American Games into a year round training center for the Canadian canoe-kayak team and a multi-purpose community recreation facility, set within a redeveloped public park. Built on a modest budget and an extremely tight schedule, the building structures of cast-in-place concrete and steel are used as interior finishes throughout. Cladding includes aluminum standing seam panels and capless low iron curtain wall glazing. The facility is expected to achieve LEED Silver certification.